Discussion in 'Announcements' started by Arsenic, Aug 1, 2017. We know it has been a while but this update is big, in fact, half the features we had not hinted to before the update. The two major known changes are the finalisation of Clans, as well as the implementation of Dynamic spawning! This section will be a brief overview of the system, with a more in depth post found HERE. Clans are a system where players can form groups to work together. 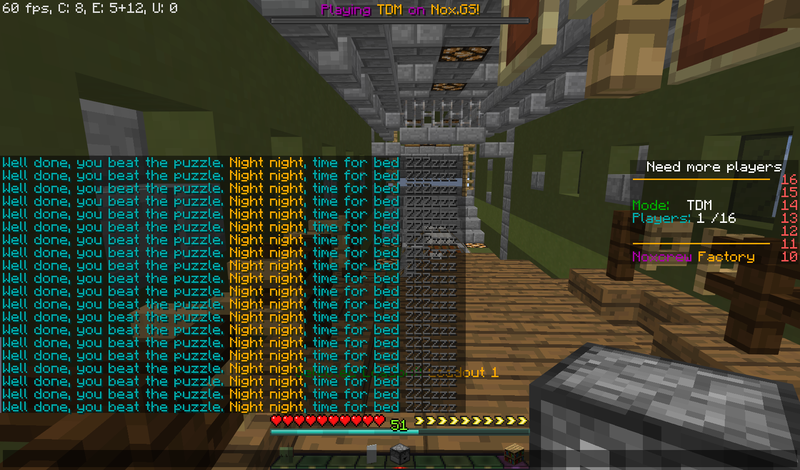 Through their efforts, they are able to show their dominance other all other server members and also be rewarded at the same time. After every MCStrike game played, players are awarded clan points based on their performance. The biggest new feature of clans is Seasons. At the start of every month, the clans at the top of the leaderboard will be rewarded for doing well. Rewards are given based on the overall clan position, as well as how much each player contributed to the clan, with many players earning thousands of coins. All clans points are then reset for the next season! These coins can be used for buying of guns and equipment or can be directly fed back into the clan for the owner to spend in the clan store. Among the items in the clan store are tags, capes, icons and the most important packs. At the beginning of games, players now fly into position. The animation of players jumping from the chinook into the warzone is fabulous and you guys have told us so much already. We’re super excited about it as well, it’s pretty awesome. This feature is a real move forward for the server, pun intended. Rather than players spawning in the same area each time they die, spawns now change depending on where other players are on the battlefield. Not only does this prevent spawn camping but it will hopefully for a direct shift in the flow of maps. This feature is subject to change on how it’s worked out so suspect some changes to the current system. The server now has an AFK kicker. If players stop moving a fair amount of time a warning is displayed on the screen. If they do not react to this they will be moved back to the hub allowing another player to join. There is no punishment for going AFK in a game, apart from losing your slot in the game. We have a second Microgame for you guys to play. This one is a speed-based challenge. When you start to play you get given an item to click. Once it is clicked it disappears and a new item is spawned else where. After you have clicked 10 items the time it took is displayed in chat. Also, the Microgames app now available in the Chinook, just in case you’ve finished voting for the map and modifying your loadout early! As always we are so grateful for how much you guys feedback your opinions. We love making this server as enjoyable as possible and everyone’s reaction to the new fly-in animation has been great. We understand there is a bit of uncertainty to the massive effect dynamic spawning has had, and we want to perfect it too. Any feedback you have on it, and anything else, is always listened to. Added MicroGames to player's hotbar in Chinook. Added chat detection to the Afk kicker. Removed the speed boost players get when respawning. Optimised the raytrace further, always a good thing. Changed disabled clan apps, for during beta, to now be accessible. Added vault holdings to all vault items in the ClanApp. Added a notification to players joining the server who are not in a clan but have pending invites. Fixed stun grenade animation showing a Medicpack during the end of its life. Fixed Speedjolt not working sometimes due to an issue with the anti cheat system. Fixed Bouncingbetty and Claymore being set off, if the player is below its Y location. Fixed melee being possible in Chinook and not during mid game for some players. Fixed equipment slots not saving in some scenarios. Fixed Killstreaks which were still active at the end of a game not get counted for prestiging or gaining additional game points. Fixed the "Pickup weapon title" showing when reloading a gun but standing on top of another. Fixed missing colours in some messages. Fixed bullet interaction issues with some equipment. Fixed a few other bugs with equipment. Fixed the weapon not updating with boost effect when on a 3 Killstreak. Fixed non-block items giving protection from explosions. Fixed the Claymore and Bouncingbetty one-way shooting exploit. Fixed the white armour bug when in spawn protection. Fixed multiple gun entities spawning on player’s deaths. Fixed online staff in tab not showing. Fixed Clan name colour in chat to something better. Fixed the WarDog taking fire damage. Fixed shifting being seen on other players. Fixed Barricades bug setting the top half of the door as bottom half of the door. Fixed Infiltrator class still being selected after prestiging. Fixed player suicide points bug. Fixed kills objective bug going above without ending the game. Fixed team colour item in 9th slot not showing in most situations. Fixed Clan Owners App been accessible to other members of the clan. Fixed Clan members not being notified when their clan is disband. Fixed many other smaller bugs. Added more sound feedback for help and reward vendors. Added glowing effect the glass panes in the lucky monument. Changed hub teleport pads to help prevent accidental teleportation. Added Global vote announcement when a player votes . Fixed issue with the server not saving players settings. Fixed NPC's having collidable hitboxes. Fixed the reward vendor’s scoreboard not updating when claiming rewards. I know I am always complaining but I really appericiate every single patch that comes out. I didn't expect there to be clan icons or especially clan capes. It definitely will give many clans something to work for, and help smaller clans distinguish their-selves as time passes. I also expect some people wanting bragging rights for unlocking all of the clan features .